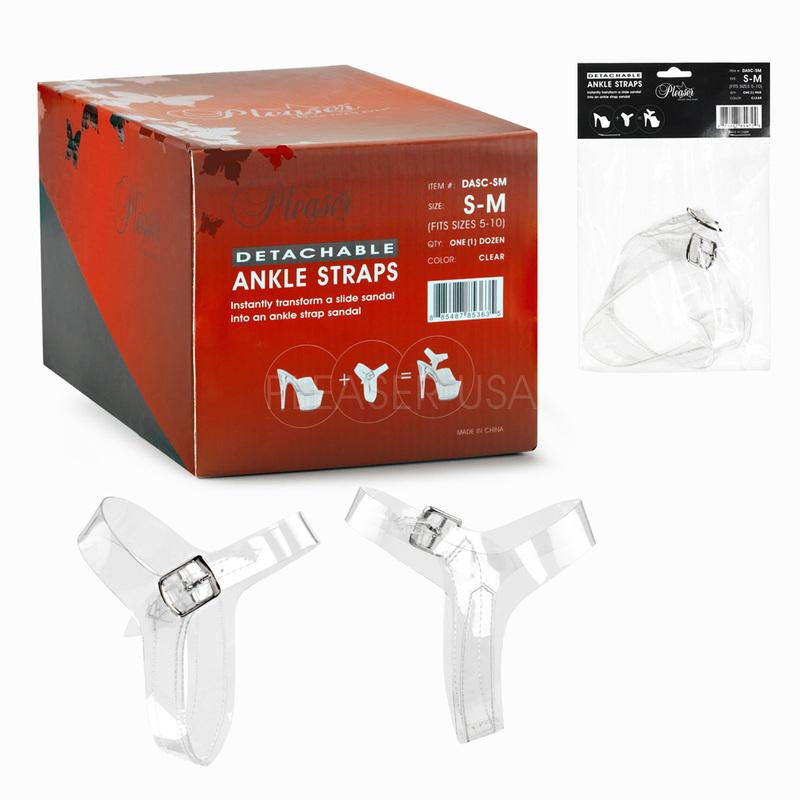 Home / Accessories / Pleaser Pair of Clear Detachable Ankle Straps. Pleaser Pair of Clear Detachable Ankle Straps. You get a set of 2 in the Packet. Ankle Straps size Small to Medium fits shoe sizes 5 to 10 and Large to Extra Large fits shoe size 11 to 16. The clear strap is fitted on the underside of the shoe. Very handy accessory to add to a slip on shoe if you need more ankle support and a more secure fit. Most Popular 6″ Stiletto with Ankle Strap in Red. Long Lycra Cut Away Stripper Skirt with Opening Side Buckle. Pleaser Clear Slide with Rhinestone Upper 5″ Heel, 1″ Platform.